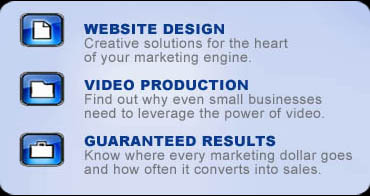 We provide a full spectrum of marketing services that compliment your image. Having an integrated marketing solution is important because maintaining a consistent brand identity throughout all of your marketing materials gives you the reliability that you need to succeed. Our comprehensive services take you from strategic planning to post-marketing-campaign success. A full-service marketing team is convenient and smart. We help you to understand all of the ways that your products or services can be marketed. We're not new at this, our depth of experience allows us to quickly find the perfect solution for you. Studio Mercury is a small Kansas City company with a personal touch. You will have direct e-mail, work phone and cell phone access to the marketing director / owner of Studio Mercury. He assumes responsibility and deals with issues quickly and effectively. Members of the team take proud ownership of their productions and are held accountable to both you and Studio Mercury. Meet the experienced professionals at Studio Mercury.